I do not ascribe to the New Age philosophy of raising your vibrations for the purpose of enlightenment, or spiritual evolution, but I do have a lot of clients who are part of all walks of life, and I have had to know what I believe as well as know what they believe. The earth is the Lord’s and everything in it, and I think that truth is truth and lies are lies, but sometimes the Lord created truths and mysteries that He wants to show us, and we should not dump all of them (just most), just cause the New Age thinks they own certain things and have counterfeited it or manipulated it for their agenda. The Lord directs this with me, not me thinking I should ‘reclaim’ things ‘for the Kingdom’ as some Believers feel the need to ‘redeem’ things that should just be left well alone. (Like Yoga) But when it comes to frequency, the Lord has made it clear that it is important for us to learn about, as a weapon of our warfare, and a key to walking in health and healing! A friend of mine asked the Holy Spirit what He thought about cancer…. the answer she got was “I don’t see cancer, it’s under my feet.” If cancer is under the Holy Spirit’s feet, and the Holy Spirit dwells within us, then why isn’t cancer under our feet also? Perhaps it has something to do with where we are positioned in the earthly realms, instead of seated in Heavenly places, seated in Christ, who is in the Father (Eph 2:6). So, how do we make sickness and disease (and the enemy) be under our feet, where they should be? Let’s look at some of what science has proven about what the Bible says about thinking higher. Did you know that a healthy body vibrates at 62-68 MHz? The Brain, when healthy, vibrates at 72-90 MHz; Cancer vibrates at >42 MHz; A cold at 56 MHz. Death begins at 25 MHz! Sin separates us from God (Isaiah 59:2; Jeremiah 5:25), and sin also has a frequency that drags us down and puts us “within reach” of the enemy. Emotions, words, and thoughts carry frequency as well. Foods, essential oils and everything on earth has it’s own unique sound marker (created by the mouth and WORD of God), and one of the ways I have seen thousands of people recover through med free options for mental health is through raising the frequency of their brains and overall health, just by following these simple changes! God has been sharing with me in visions about how to bring our thoughts higher, how to renew our minds to be like Christ Jesus, and how we can be more in tune to His frequencies of health. I have now coached several hundred people to better brain and body health, in addition to over 10,000 books sold, but for those who just want to cut to the main point of my coaching and books, for free, this is the best little overview I can give! It is foundational protocols for almost every client in how to fortify their mind, body and Spirit. I believe that the world was SPOKEN into existence by power and light from the breath of God, made up of liquid crystal. Science has proven that liquid crystaline sound waves are at the root of life (cause God spoke!). Your body is mostly salt and water, (liquid crystals) and there are hundreds of issues in the body that can be reversed with just good quality salt and water, even reversing suicidal thoughts in many of my peer clients! Depression is Dehydration! Even when people enter the ER, they are charged $800 for a bag of saline, cause most people are just dehydrated, according to F. Batmanghelidj, MD in his amazing book: Your Body’s Many Cries for Water. The Bad: Most kinds of salt are bad for us, even highly toxic, especially the pure white refined stuff that graces supermarket shelves and is placed en-mass in saltshakers in restaurants. Refined salt has been stripped of its minerals and contains added aluminum silicate, which is a neurotoxin and has been implicated in Alzheimer’s disease. Even many salts labeled Sea Salt have been pre-stripped of minerals and used to fortify cereals. The Good: Unrefined Sea Salt and other terms to look for are: Macrobiotic, Hand-harvested, sun-dried sea salt. This salt is not only good for you but also essential that you get adequate intakes of it. Himalayan is the most mineral-rich. There are many types of Good Salt: Himalayan Pink Salt (High 84 mineral content), Celtic (grey) sea salt, Redmond’s Real Salt (about 72 mineral count), Cyprus flake, Mediterranean sea salt, Alaea, Hawaiian Sea Salt among others. Black salt is infused with carbon for detoxing benefits. Just avoid regular table salt. Carry a small grinder with you if you are a salt addict like I am. I have carried one in my purse for about 10 years now! Good salt can be found in most grocery stores, health food stores, or online. Salt can also reduce rage and reduce improve mental focus. See my blog on natural lithium salts for more info. Filtered water to remove chlorine and flouride is important, but so is ionized, alkaline, mineral-rich water. Kangan machines are one of the best available, but Vollara makes a decent one for less money. Water Ionizers are now even recommended by Oncologists. I would rather try to prevent cancer with water than try to correct it with water. Drinking half your weight in ounces of water per day, and approximately one tablespoon of salt per day is a good amount. Salt can be taken under the tongue before meals, in food, on food, or in a salt sole solution. (Where you get a block of pink salt and put it in a mason jar. Fill with water. Drink it or gargle with it daily and then replace the water) Putting salt in a bath can help the body absorb it directly into the blood stream and detox cells. Cooking on a salt block is another way. I do all of the above regularly. I even keep a portable salt shaker in my purse and have even started a trend of them with everyone I meet. Whole Food Supplements vs Chelated or Synthetic? Whole food supplements seem like a good thing and are currently all the rage, but the nutrient content in an apple just isn’t what it used to be. I want to know that the nutrition exists in my supplements, and if the minerals are organically bound, as in chelation (finely-ground rock bound to an amino acid), your body recognizes it the same way as a whole food supplement, but you are guaranteed content and substance, which is no longer guaranteed in our depleted foods. How to Pick a Good One: High enough doses that are well above the Recommended Daily Allowances in many areas (the RDA is closer to being deficient, not optimal health), the best form of each vitamin and mineral, organically-based, and high quality standards of manufacturing are all important to look for. All decent brands: Melaleuca, Standard Process, Xymogen, Youngevity, USANA; many others have great quality products and I have tried most of them! Something is better than nothing, but I found superior mental and physical health with a supplement that can cross over into the brain and work in the body. With so many people fearing dementia as we age, EMPowerplus Q96 (Or non direct sales purchase option: Empowerplus) is the one I recommend the most and my entire family takes it for mental and physical health; it has been scientifically-proven in over 30 independent university studies and safely used for over 20 years! I personally have taken this one for 14 years and so does everyone in my home (ages 9-40). As far back as 1936, the U.S. Senate declared, “99 percent of the American people are deficient in minerals, and a marked deficiency in any one of the more important minerals actually results in disease.” How much more deficient do you think we are now?! What Types of Good Bacteria to take? According to Jordan Rubin, in The Maker’s Diet, friendly microorganisms and bugs that used to be prevalent in our soils, on our foods, and in our digestive tract especially, have been mostly eradicated due to our synthetic fertilizers, pesticides, fungicides, and herbicides. We live in an anti-bacterial sterile-seeking society, and it is costing us our health. He healed Chrohn’s Disease with soil-based probiotics. So what do we do about it? We need to supplement dirt and healthy organisms, like probiotics, into our diet. Gardening with organic materials can also be beneficial. Supplementing with a wide array of soil-based and various other strains of good bacteria is essential to mental and physical well-being. Top 3 recommends: I recommend picking two different kinds. One wide-variety, soil-based probiotic. The second should be an EFFECTIVE, concentrated strain that can get through the stomach acids and provide daily regularity. One colonizes over time and provides soil-based bugs, the other offers effective detoxing and regularity. QBiotics by QSciences (Take 1-2 Daily) or GreenBac by TrueHope. I take both the Primal Defense and GreenBac. The reason I take two is I have just found that they are both highly beneficial to keeping me regular. #4 — Your Organs (especially the Brain and Heart) need Fat and Omegas! A great way to get butter and coconut oil into your diet is to add it to organic coffee or tea daily. I use ghee to cook my eggs in, and eat avocados and olive oil almost daily. Most commercial fish oil supplements cannot be readily absorbed in the digestive system, especially a compromised one, as most of ours are, which is partly why many people burp up fishy taste when taking them. Regular fish oils, mass-produced cod liver oil, and Krill Oil may not be harmful, (although some are because of heat processing) but are not worth the money compared to better EFAs. Plant-based are also devoid. My TWO Favorite Omegas are Fermented Cod Liver Oil by Green Pastures and QOmegas. QOmegas contain several elements that improve absorption and utilization of the omega-3s, including: 1,000 mgs of omega-3, through a balanced blend of high-quality flaxseed oil and fish oil from mackerel and salmon. There is no burping it back up for most people, but taking it at night before bed can eliminate this problem for even the most sensitive like me. QOmegas also contain Lipase, a fat digesting enzyme that helps with the breakdown of omega-3 in the body‚ Lecithin, an emulsifier that aids in absorption‚ DMAE (dimethylaminoethanol), a compound that enhances cellular metabolism in the brain. DMAE is also commonly used in skin formulas because it helps stimulate skin nerves to lessen the appearance of wrinkles. The best way is your favorite way, and the one you will actually do consistently. I love to hike, canoe, and ice skate. Movement stirs the toxic waters of our body (remember we are 75% water!) Water left still for long periods of time stagnates and rots, breeding diseases and cancers. Moving water brings life and health. Movement is key. However, if you need more direction, rebounding (mini-trampoline) is a way to get the most bang for your buck, and time. Ten min a day, three times per week, equals hours of any other exercise. It stimulates the lymph system, helps with elimination, and detoxes cells. The best rebounder is a Cellerciser because it reduces pronation of the feet, reduces stress on the knees and back, and maintains a level surface area while bouncing. Rebounders range from $25-$2000! Weight Loss: While all the tips in this blog can significantly contribute to weight loss naturally, being overweight can contribute to many extra diseases and disorders. If weight loss or muscle-building is of concern, consider a high-quality meal replacement shake (Like eQuivalent+ with Xanthones*), QMetabolic Boost (Carb Blocker & Fat Shredder) and amino acids (like Q Amino Acids) in addition to daily use of the Cellerciser. Increase rebounding to thirty minutes three times to five times per week for more rapid weight loss. After coaching hundreds of people to Med Free Health, I have seen that most of the time, just following these 5 steps exactly can turn around even the sickest individuals. 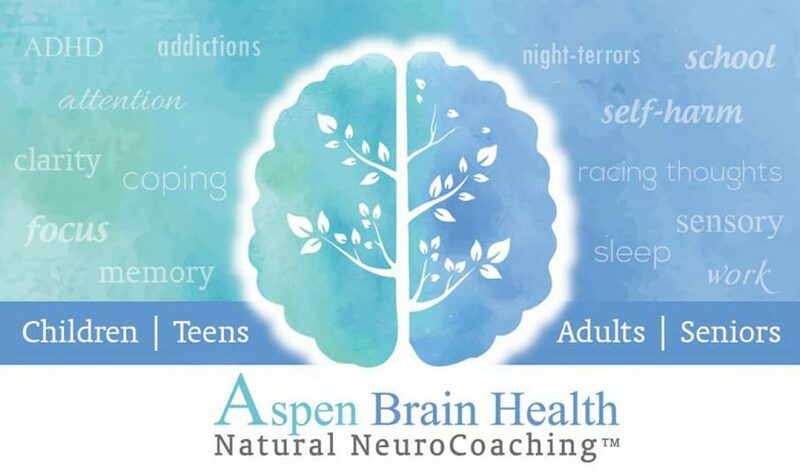 If you want customized protocols to your brain or situation, I offer 1-1 coaching for $75 an hour or complete brain testing using the Dr Amen Method. Keep searching for your particular answers and God Bless! #6 — I will follow up this blog with a blog on more ways to raise your vibrations and therefore your health with thoughts, foods, oils and sound therapy! *These statements have not been evaluated by the Food and Drug Administration. The products mentioned in this blog are not intended to diagnose, treat, cure or prevent any disease. These ideas are those of the authors’ as a Certified Brain Health Coach, and minister of the Gospel of Jesus Christ who is constantly learning. Only the Bible is Gospel Truth, None of her musings or revelations. If you have any questions regarding anything she talks about, she encourages you to seek God for the answers yourself. Reader implements all information at own risk and should consult a doctor before making medicine, supplement, or exercise changes. The author and publisher assume no responsibility for adverse reactions from implementing the concepts presented here.